It took me until the 7th month to fall behind, but fall behind I did. 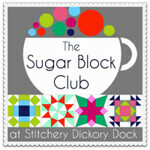 My second July Sugar Block Club block sadly didn’t get completed until August. At least it was the first week of August, but it still certainly wasn’t July. And I have a sneaking feeling I will not get August done until September. We’re going on vacation, a wonderful, amazing vacation, and I don’t have any sewing time left before we go… Still, it’s a price I’m willing to pay! I felt like this block needed to be darker than the last few, so I chose colors with that in mind. 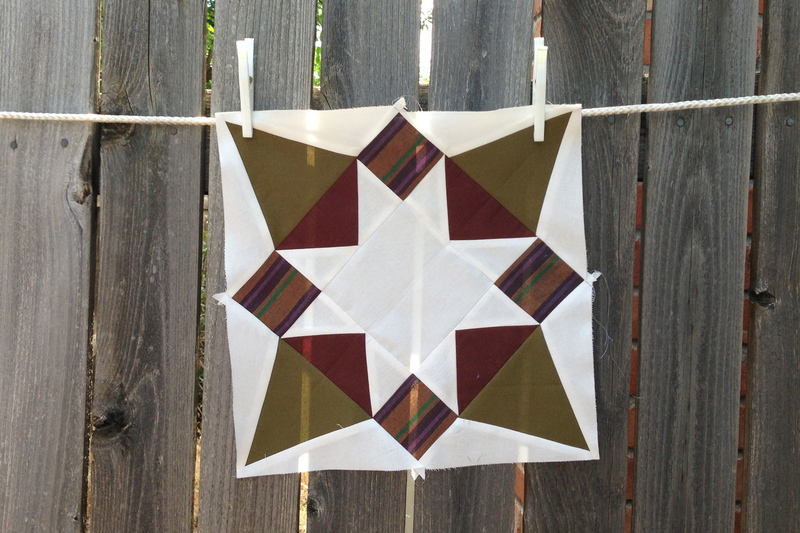 In my first Lime Sherbet block, I was worried that you couldn’t really see the Ohio Star that makes up the center of the block. But this time, I feel like you really CAN see the star. I really like how this one came out, and I think it does a lot to balance out the others. I wanted to keep it from getting to orange and sunshine-y, and this one helps with that nicely. 7 down, 5 to go. 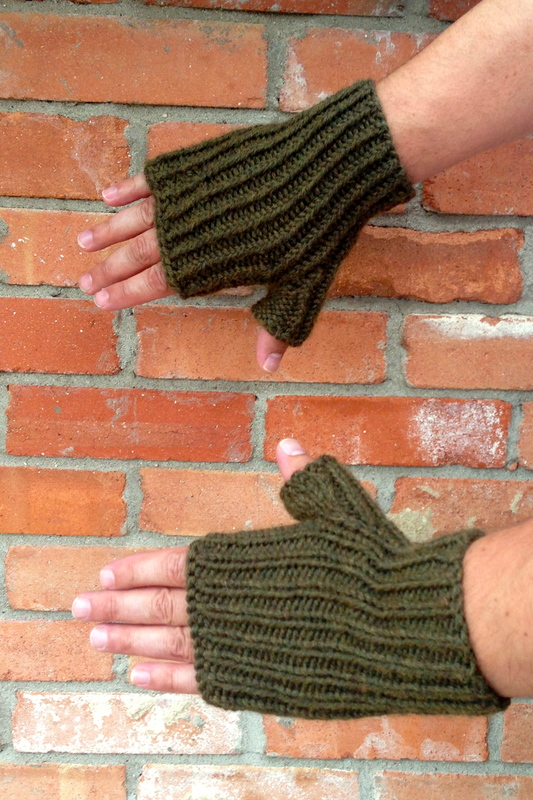 I’ve been knitting for quite a few years now, and I’ve made nearly nothing for my husband. He’s not interested in socks or sweaters. 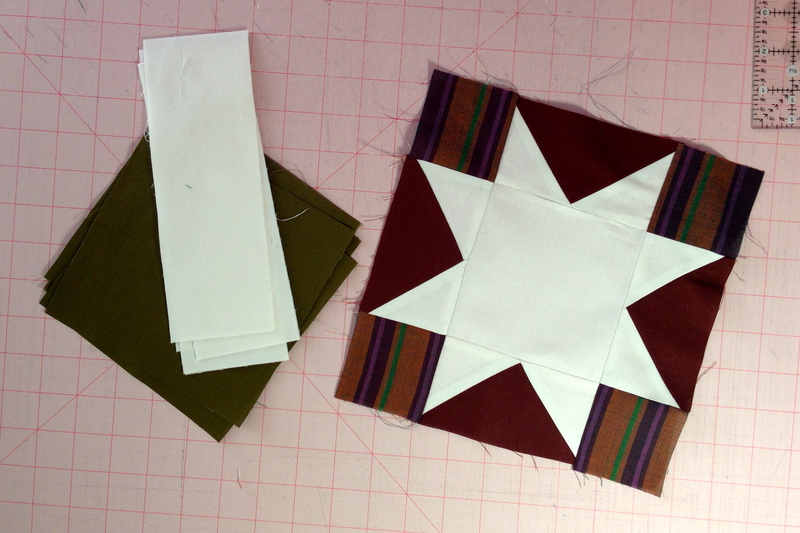 (He does have several wonderful quilts, lest you think he’s totally neglected…) So when he himself found a pattern and asked me to make it for him, and went so far as to research and buy the yarn himself, you know I HAD to do it. What finally caught his fancy? Did you see The Hobbit: An Unexpected Journey? 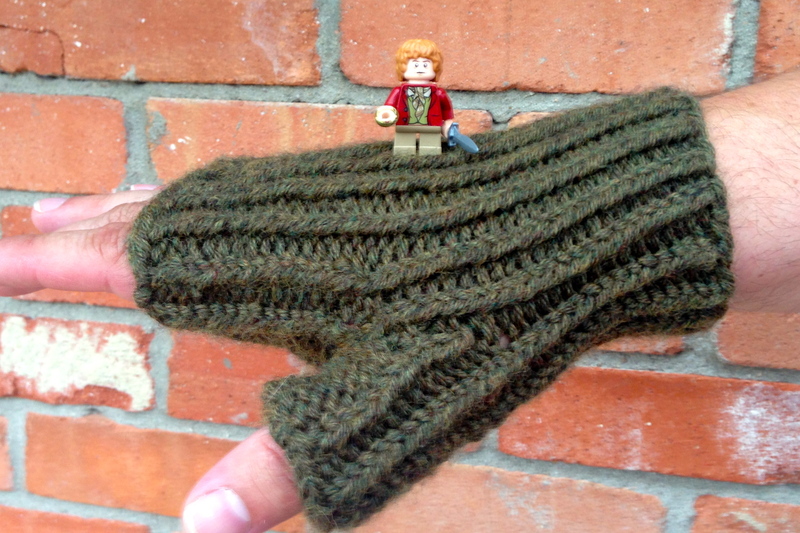 Did you notice the extraordinary hand knits worn by the dwarves? You can read about them here and here. This promotional image from the film gives you a few tantalizing views… but it’s also totally worth some time with the Google to get more detailed looks. What truly caught his eye was a pair of mitt’s worn by Ori. 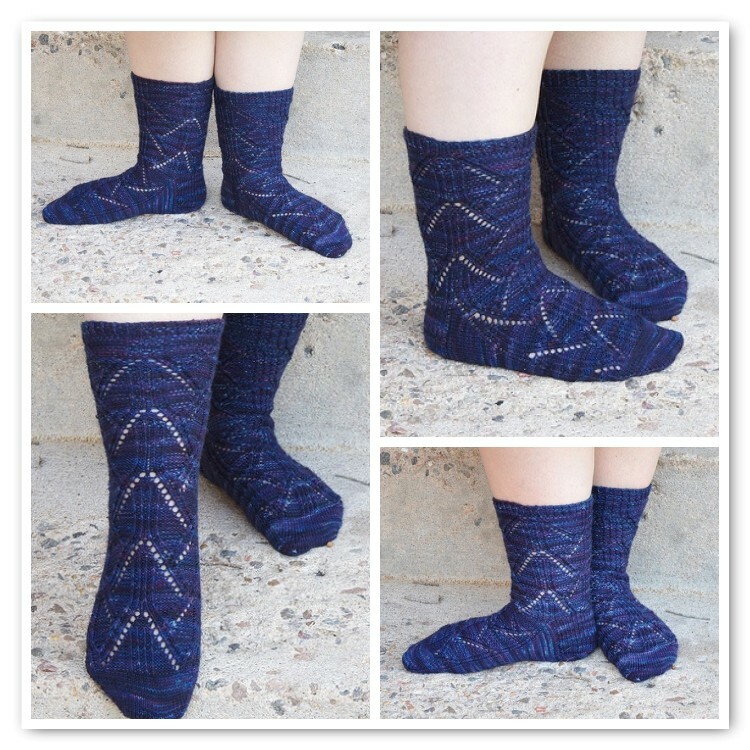 This blog has great photos as well as a pattern interpretation of her own… But my DH found a pattern that he liked best via Etsy, and he ordered it. 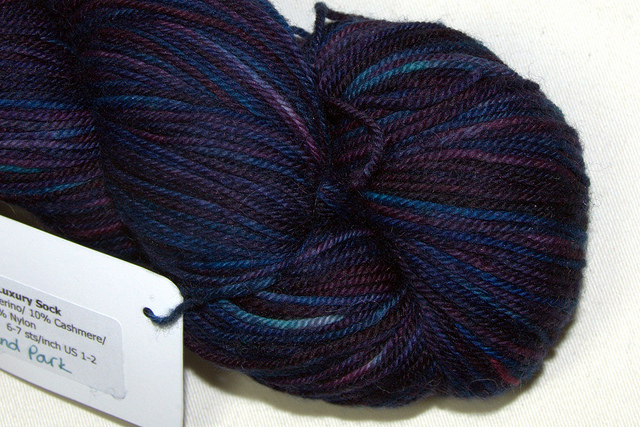 Then there was the yarn… It was a long, drawn out decision, and in the end, he ordered two types. 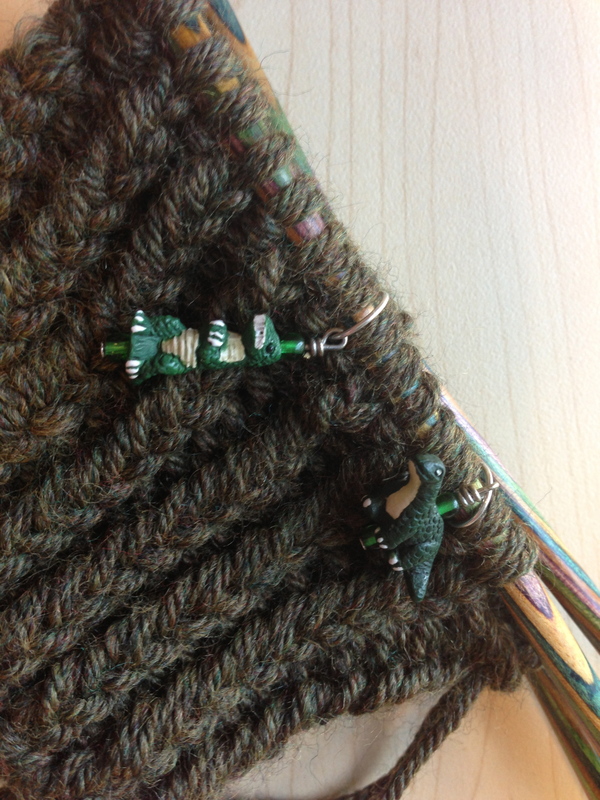 2 skeins of Berocco Vintage in an olive/camo green, and 2 skeins of Cascade 128 Tweed in Jet. I started with the Vintage. It’s a really lovely shade of green- not totally solid. Very manly, or dwarvenly, perhaps? 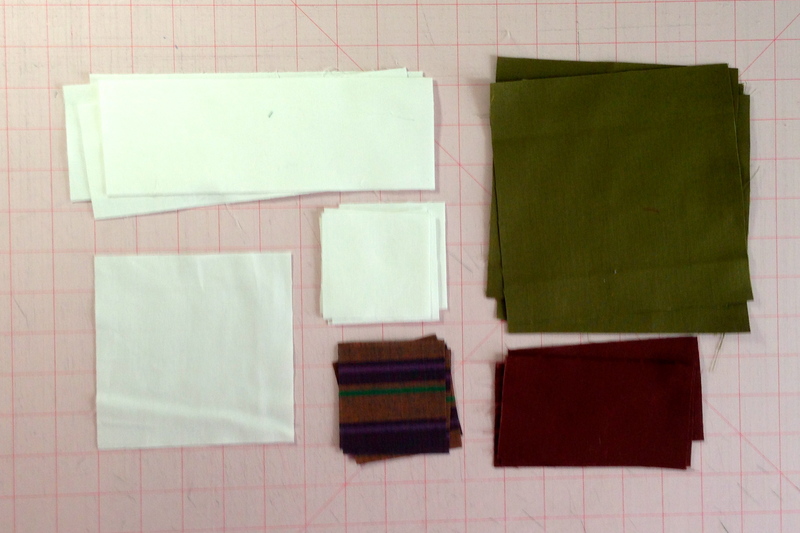 The first mitt was done speedily, but was a disaster. 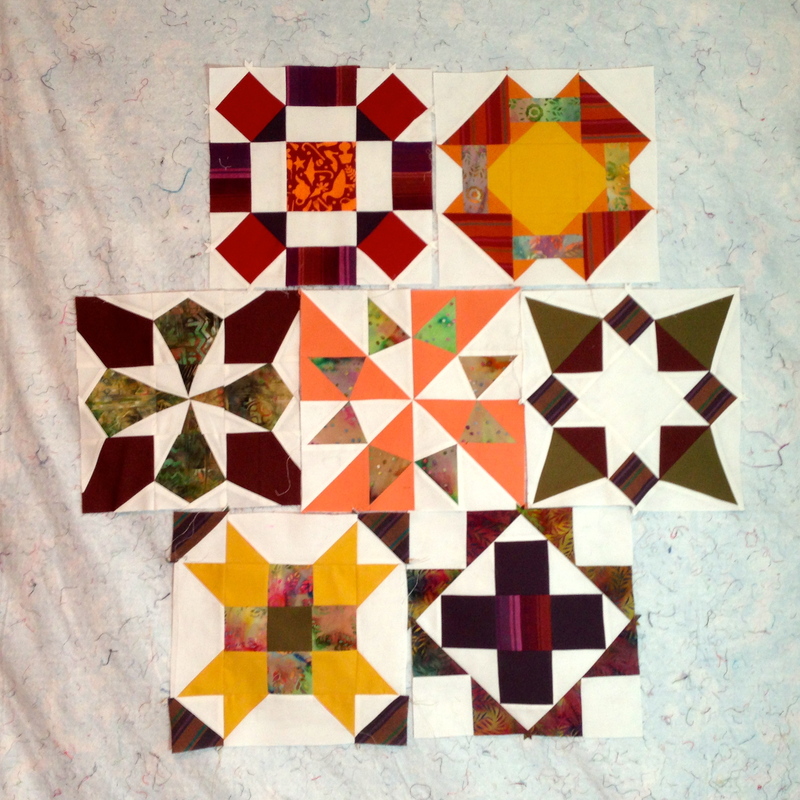 I followed the Etsy pattern to a T, and should have known better. 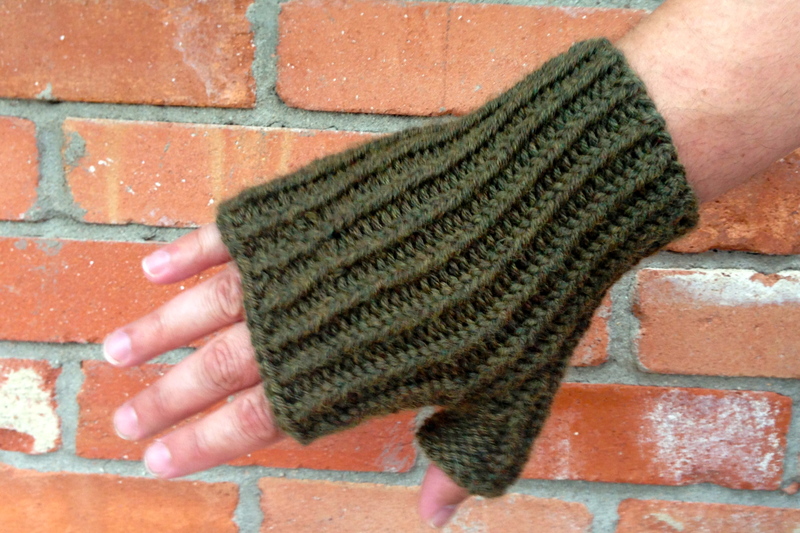 It didn’t offer gauge, and I had to restart after I realized that the k1p1 rib was in fact meant to be a twisted rib of k1tblp1… There was only 1 size offered in the pattern, and had I been thinking, I would have realized that the mitts were being modeled by female hands. 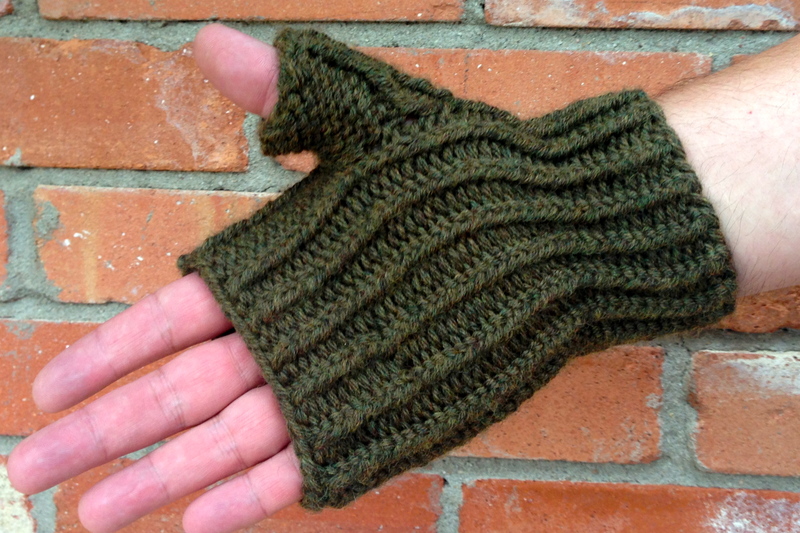 The first mitt barely covered my husband’s palm area, and the thumb was far too tight. FROG. It’s quite rewarding to have made something for him for once- something that is making him very happy. Hooray! We wanted to include Ori in our photos, but after going through Henry’s LOTR Legos, we realized we don’t have him. 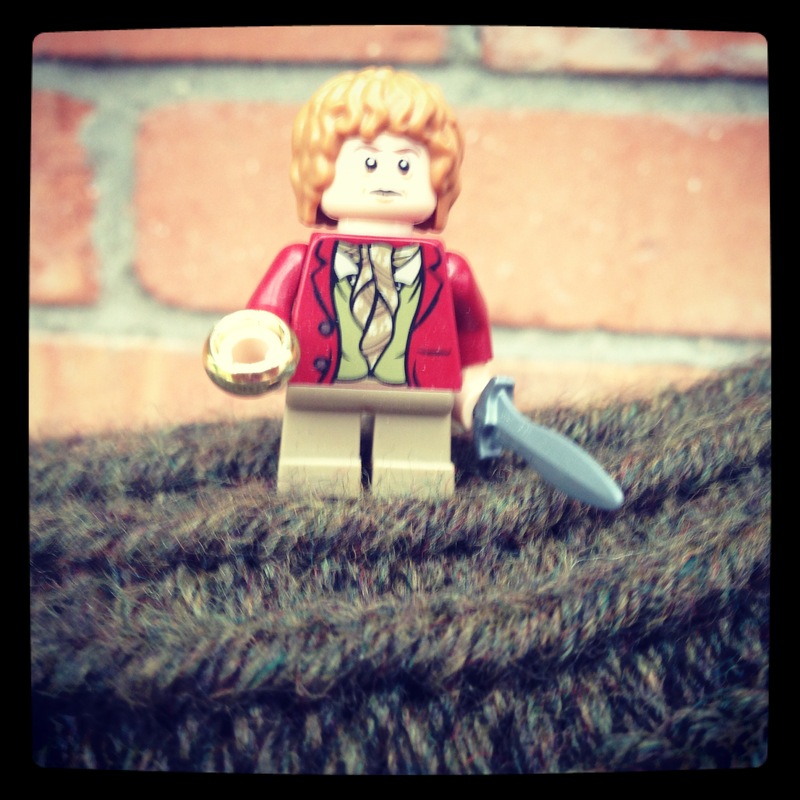 So Bilbo was drafted instead. He seems satisfied with my work. Phew.